We are proud to announce that Pangeanic has successfully passed external audits by British Quality Certification body EQA. 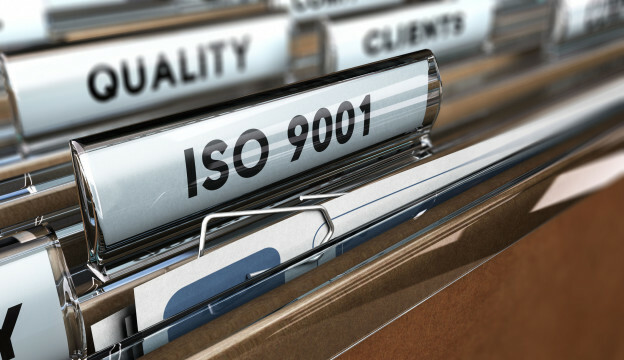 Pangeanic again assures its clients with certified translations: European Translation Standard 15038 and ISO9001 accreditations have been renewed after a two-day audit. These two standards focus on checking Pangeanic’s translations procedures and systems in our continuous commitment to providing the best translation quality service. The system and translation audits certify that we are working with strict quality control procedures and that a quality assurance philosophy permeates our company culture and everything we do, selecting highly qualified professional translators, testing their skills before they can become part of the Pangeanic team. The audits also review our internal processes for checking, terminology, technology, and processes before delivery. Certification for the EN 15038 standard, which Pangeanic had already obtained in 2007 and now renews for a further three years (with interim yearly audits), regulates all our processes, from human resources to staff training, translations quality control, documentation control and traceability for specific translation services. The EN 15038 standard is the only quality standard that is specifically designed for the translation services industry. It was driven by several national standards bodies and eventually created by the European Committee for Standardisation (CEN). The standard specifies best practices and requirements for translation and localization processes, the qualification of translation professionals and the contractual framework with the customer. ISO 9001:2008 certification is more extensive standard. This ISO standard specifies the requirements for a quality management system where an organization must demonstrate its ability to consistently provide a product or service that meets customer and applicable statutory and regulatory requirements. It addresses the entire organization and defines the quality management processes for all services the company offers, which may go beyond translation. The objective of ISO 9001:2008 is to enhance customer satisfaction through the effective application of a quality system, which includes the continuous evaluation and improvement of a procedure-based system. Both certificates are valid for three years but internal audits must be conducted internally once a year and reviewed externally every year by EQA to certify that our translation service and the procedures are adhered to. The company’s proven diligence in these certification processes, together with extensive experience in translation project management acquired since 1997, our clients in Asia, Europe, the US, Canada, Latin America, Gulf countries, North Africa, India, Singapore … in fact more than 40 countries and thousands of projects satisfactorily completed make Pangeanic deserve its nickname one of the best translation companies in the world. Can you describe your Quality Assurance processes in translation? Do you provide certified translation services?